Georgia law determines the rights of tenants and landlords as they negotiate lease renewals. When a tenant nears the end of her current lease, she needs to find out whether she has an option to stay. She may need a lease renewal to remain on the property. The provisions in the lease regarding renewal, extension, rent control and other issues may significantly affect her. The terms of the original lease often affect the tenant's rights at the end of the lease. The lease may provide for an automatic renewal of the original lease, permit the extension of the original lease or require that the tenant sign a new lease. The lease may require written notice from the tenant if the tenant wants to negotiate a lease extension or a new lease. If the original lease contains none of these provisions, Georgia law permits the landlord to end the relationship at the end of the lease term. According to the Georgia Legal Services Program, a tenant should determine whether the original lease provides for automatic renewal, in which case the terms and conditions generally remain the same. A tenant intending to move out at the end of the lease should determine how much notice, if any, the tenant must provide the landlord. If the lease requires notice that the tenant does not want an automatic renewal and the tenant does not give the proper notice, the tenant may inadvertently become financially responsible for another lease period. If the original lease does not say what will happen at the end of the rental period, the tenant may need to negotiate a new lease with the landlord. Georgia law does not place restrictions on the terms of a new lease. Accordingly, the terms of the new lease may differ from those of the original lease. If landlord requires a new lease at the end of the rental period but the tenant can't successfully negotiate one, the landlord may ask that tenant move out. The Georgia Legal Services Program suggests that tenants review their current leases and find out whether they will need to negotiate new leases. 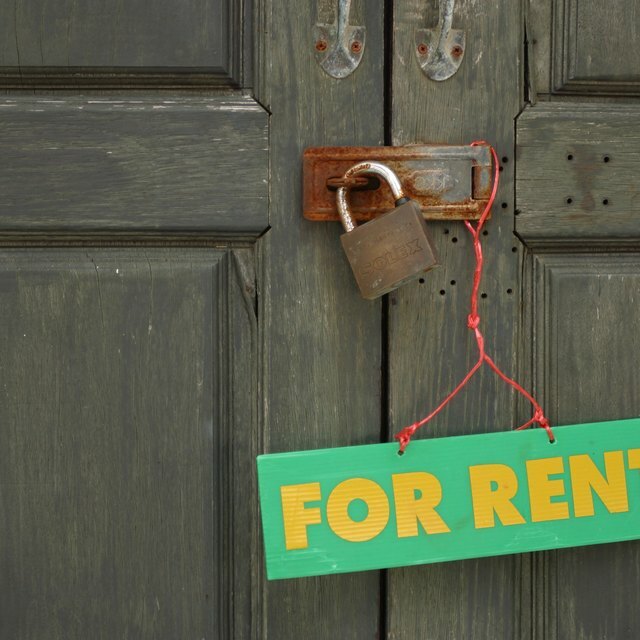 What Are a Landlord's Rights If There Is No Signed Rental Agreement? How Long Do You Have to Move out After No Renewal of Lease? Georgia law does not provide rent-control protection. The landlord may raise the rent by any amount upon lease renewal. If the original lease includes a provision for automatic rent increases at certain intervals or dates, the landlord has the right to request those increases at the specified times. If the original lease does not give specific information about rent increases upon renewal, the landlord can request a rent increase in any amount after the end of the original lease. Furthermore, if the original lease expires without renewal and the tenant continues to occupy the property on an at-will basis, the landlord can increase the rent with 60 days' notice. Similarly, if the landlord and tenant never signed a formal lease, the landlord must give 60 days' notice before raising the rent.